A deadlift is a compound power exercise, most commonly used by powerlifters. It engages more muscles during one movement than any other compound lift. This makes it ideal for not only strengthening those muscles, but also is more efficient for those who lift with a time constraint. The distance between the floor and the top of the movement is relatively small, averaging only a couple of feet. As compared to a squat or bench press, this makes heavier weights much easier to handle. You really only perform half of the movement. Unlike a squat or bench press where you need to control the bar for the concentric and eccentric part of the lift, gravity takes over for the eccentric half of the deadlift. As soon as you bring the bar a third of the way down after locking out (or reaching the ending point of the exercise), gravity takes over and gets that bar to the ground. You just have to make sure that it doesn’t squash your toes. The deadlift is primarily a hamstring and glutes movement because the lifter uses his heels as the driving force. However, both the thoracic and lumbar spine are activated at the top of the movement, as is the latissimus dorsi and rear deltoids of the back. In addition, the triceps are recruited when lifting the bar off of the ground. Tricep activation is due to the pushing motion of the lifter relative to the bar — against popular belief, the first movement in a deadlift is pushing the bar off of the ground, not pulling it, to lift it. Therefore, the triceps and not the biceps are utilized to complete the movement. There are two different forms of deadlifting, conventional and sumo, but both have the same core mechanics. The trick to a deadlift is to keep your back relatively straight — no rounding at the top! Your feet should be planted firmly on the ground so that the heels are used as the primary driving force. Any additional pressure at the front of the body will just cause you to fall over. The deadlift should be one continuous movement. Because of the heavy weight, some individuals have a tendency to lift the legs first and let the bar follow. This puts intense strain on the lumbar spine. Instead, the whole body needs to move as one. Ideally, the bar should travel up the path of your legs and follow the same path back down to the ground. It will make sure you keep control of the bar and prevent your back from being thrown out during the eccentric portion. Another key component to completing the deadlift is to activate your latissimus dorsi before lifting the bar. Located right at the base of the armpit, the lats are the stabilizing force of the entire upper body. To prevent your back from rounding or your shoulders from slumping forward, pressure is applied to the upper back to keep it rigid. It’s a similar notion to locking your shoulders during a bench press. In order for the upper body to stay put and not ruin the rest of the lift, it needs to be activated. And stay activated until the bar touches the ground again. Running shoes are bouncy for a reason: they keep half the foot off of the ground. However, since the primary driving force in a deadlift is the foot, the entire sole should remain planted on the ground. This gives the lifter better stability, which ensures a better lift. Powerlifting shoes or even Converse are great picks because they provide ankle mobility and keep the entire foot on the ground. Or any flat-soled shoes work, really. Just leave the running shoes at home. Powerlifting shoes can be found here, and Converse can be found here. Lifting an iron bar off of the ground puts a lot of pressure on weak wrists. To avoid this, wrist straps are a great tool. They’re made of a combination of tough fabric and elastic, so one size really does fit every wrist. Wrist straps keep the wrists locked in place and prevent them locking out or bending. In addition, some wrist straps will loop around the wrist and then wrap around the bar to increase grip strength. Wrist wraps can be found here. Lifting chalk. Lifting chalk is messy but effective for those who hate using straps. Also, if you tend to sweat during exercise, chalk will soak up the liquid to prevent slipping grips. When trying to lift heavy barbells, a firm grip is the best grip. Chalk is also applied to the legs when wear shorts to prevent chaffing. Lifting chalk can be found here. 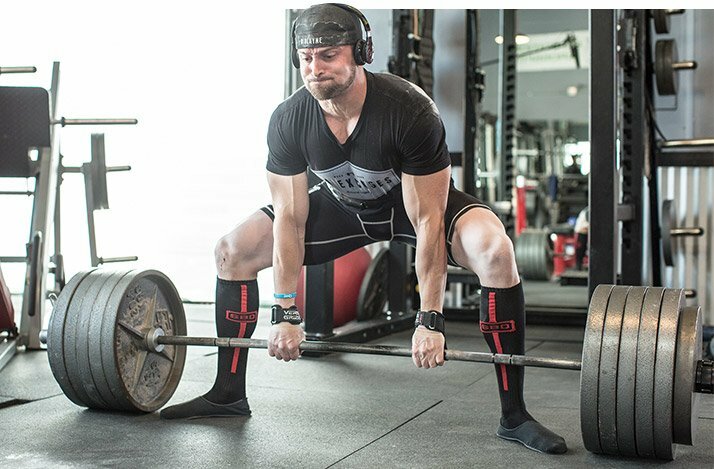 So now you have the knowledge of deadlifting basics and key tools for the best lift. But what stance do you use? There are two types of deadlift: conventional and sumo. Conventional is a close stance deadlift where the hands are kept outside of the legs. Sumo is a wide stance deadlift where the hands are kept inside of the legs. Both get the bar off the ground by primarily activating the glutes and hamstrings. However, conventional deadlifts equally target the quadriceps, or the front of the leg. Conversely, sumo deadlifts work the gluteus maximus, medius, and minimus and leave the quadriceps virtually untouched. Choosing your stance is primarily based on your physical build. Typically, individuals with long legs will choose sumo because they can get closer to the bar. Conventional deadlifts, while effective, make it more difficult for taller lifters to get down into the starting position. Similarly, individuals with longer torsos may also choose sumo deadlifts for the same reasons. If you’re someone with short legs or a short torso, however, you may choose conventional. Having smaller limbs allows more room around the bar while still being able to get the full range of motion during the exercise. Similarly, someone with longer arms may choose conventional deadlifts because their arms are held farther apart. This actually reduces the space between him and the bar, making it easier to complete the movement. Although, choosing your stance is also based on personal preference. You can learn one way but prefer the other way, or lift heavier, or have a higher repetition range. You can also lift in both stances if you’re indecisive. There really is no wrong way to deadlift. As long as your form is good and your back is not rounded during any part of the movement, deadlift away!